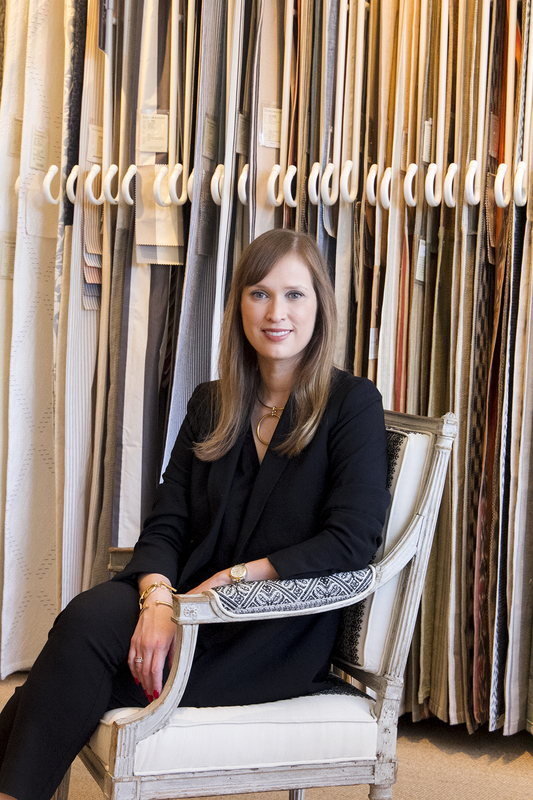 She talks to Ashley Jardine about winning over the design world and becoming a brand in her own right. I’ve recently realized that while I watch significantly less television than I used to, my social media consumption has gone through the roof—Instagram Stories is like my new fix of the Kardashians. The immediacy and satisfaction of picking up your phone and accessing entertainment has made our obsession with other people increase tenfold, and is part of the reason why today we’re all storytellers. This is one thing when you’re updating old school friends about your life, but another when you legit have something to say and an audience to say it to. That’s to say, gaining – and retaining – credibility as a blogger is harder to come by these days than it was a few years prior. 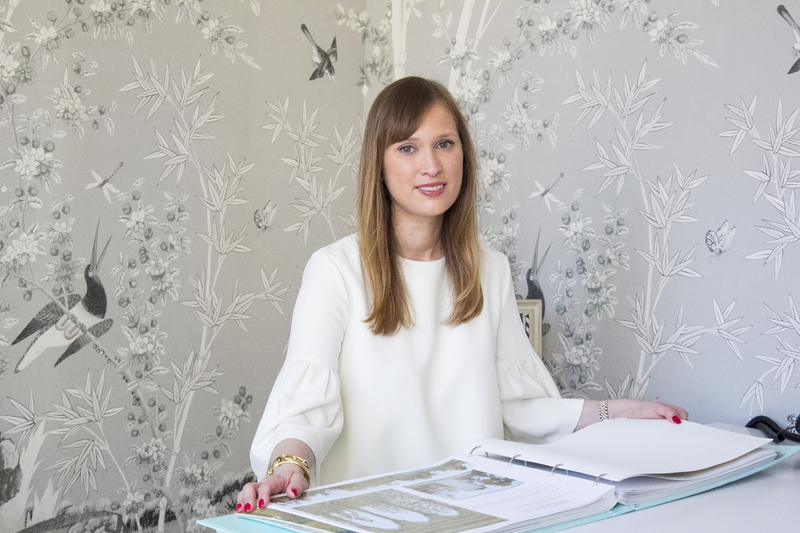 In fact, Paloma is much more than a designer who writes a blog—she also runs a successful interior design business and is soon to be a published author, with her upcoming book, Dream Design Live. Social media may have set her up and keeps her afloat, but without determination, confidence and the belief in her endeavors, she could have easily disappeared into the ether. We’re always eager to know how entrepreneurs make something out of nothing, and the evolution of La Dolce Vita from blog to fully-fledged empire has us super excited. 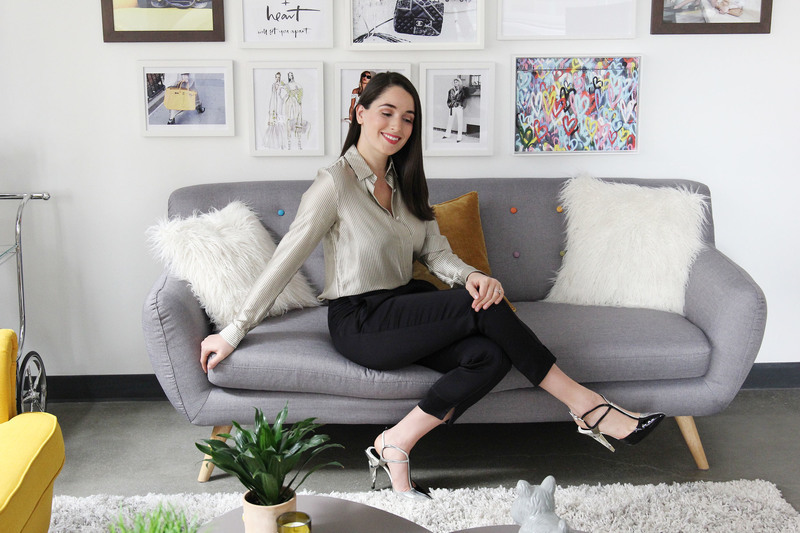 We caught up with Paloma and talked about building a team, delegating effectively, keeping overheads low and how she optimizes social media for each of her revenue streams. My husband, Fabian, has always been my biggest cheerleader and is my go-to sounding board. I was very fortunate to have a spouse who could help to support me, both emotionally and financially while I was starting my business. I know that not everyone has that, so I am extremely grateful. Having that support has enabled me to take risks I may not have been able to take otherwise and has allowed me to focus completely on growing my business. 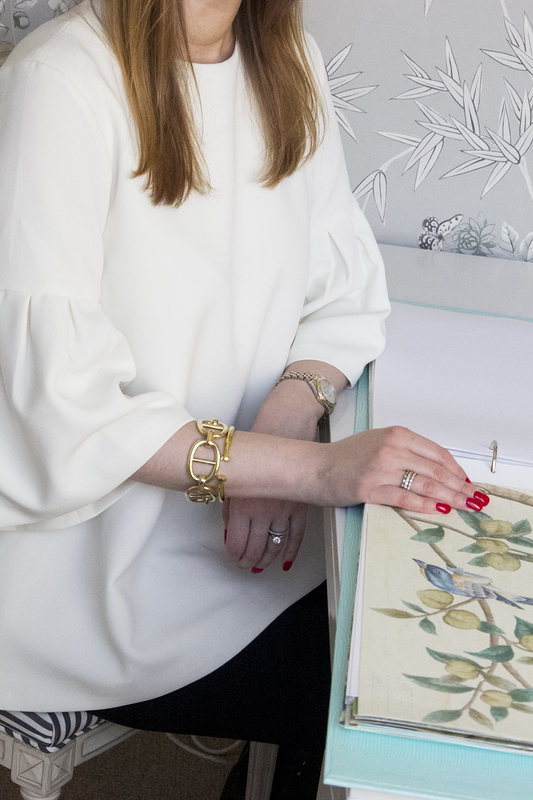 I have always had a passion for design, from a very young age, which was a big part of why I started my blog as a creative outlet during my teaching career. My blog has always acted as a wonderful link to the design world. 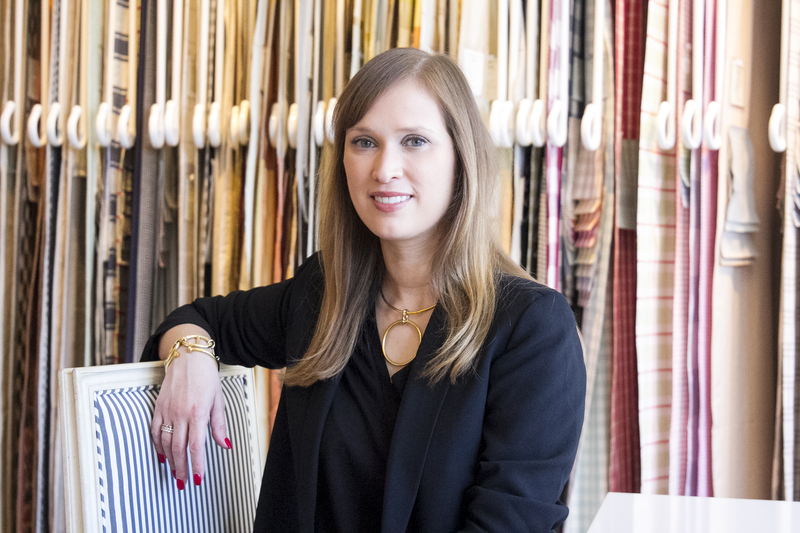 It allowed me to connect with other people who were passionate about design as well as some of my favorite interior designers. It also inspired me to learn as much as I could about the world of design. To this day, I have an insatiable thirst to learn about the different elements of design, designers of the past, various architectural styles, new materials, and so on. I have always known that I have a good eye, so I didn’t struggle with that as much as shifting the perception of being a blogger who started designing to being taken seriously as a designer who happens to write a blog. Confidence is really the key. Even if you don’t have it all figured out, and who does really? You kind of have to fake it until you’ve really made it. One of the things I continue to be super grateful for is my community of design friends and mentors who have helped me along the way, either directly with tangible business advice or indirectly by serving as a source of inspiration. I am a very independent person and like things to be done a certain way. I have also been self-employed for more than half of my career. Working for myself and doing my own things gives me the most satisfaction and motivates me unlike anything else to push myself and be the best that I can be. As such, I made the risky decision to dive in headfirst and hang my shingle with my own design business rather than working for someone else. It probably took me longer to figure some things out this way, but thanks to my mentors, I feel like I got off to a pretty good start. Looking back, I wouldn’t have changed a thing. From the beginning, I have used Studio Designer, a very intuitive accounting software that allows users to create proposals, purchase orders, and invoices. It also handles our accounting on the back-end. I spoke at length with friends who shared the ins and outs of how they ran their businesses, presented designs, interacted with clients, and so on which was truly invaluable and gave me a foundation to start with. I consider myself a lifelong learner and am always looking for ways to improve myself both personally and professionally, so invest time and resources in things that help me to achieve this goal. I have worked with a couple of business coaches who specialize in the design business. I have also attended conferences and read as much as I can. I also ask questions. Quite a few of my friends have been in this industry for a long time and if I am having an issue with a client, vendor, or project, I’ll ask for advice. Our industry tends to be more secretive and competitive than I would like, but if you have a legitimate relationship with someone and ask for their perspective, they are often willing to share their advice. I try to pay it forward whenever I can. In the beginning of my career, it was especially difficult because you really just want the work. You need projects to grow and sometimes end up taking things that aren’t an ideal fit. Now that I am further in my career, I have realized that there is one precious resource that money cannot buy and that everyone wants more of and that is time. Clients, whether ideal or not, take up your precious time as a creative business owner. When a client is difficult and they require extra hand-holding, drag their feet when making decisions, or are late for every meeting, your time isn’t being used in the best way possible. I have four employees in my office. We are a very efficient team, but we are still small and there are only so many projects we can take at any one time to provide the type of customer service that our clients in the higher end of the market expect, so we have to be selective about what we take on. I always say that a designer has to interview a potential client as much as the client should interview the designer. It is a very intimate relationship. Our clients allow us into their homes and trust us with sizable sums of money. They entrust us to turn their vision for how they’d like to live into a reality. It is a big responsibility. Conversely, my hope is to be able to identify any red flags before accepting a potential project. Working with a client who has a hard time trusting the process can be difficult for everyone and it drains me emotionally and creatively. I do my best work when my client and I are on the same page; they trust me and the process; they are able to articulate their likes and dislikes, but also allow me to do the job they hired me to do. In the beginning, some local designer friends told me what they charged for their design fees. Since I had less experience and was just starting out, I charged less. I usually review our hourly design fee at the end of each year and when we have raised it, it has usually been at the beginning of the calendar year. A few factors have played into this such as my level of experience, press and awards received, the amount of demand we are getting for our services, and the growth of our team whose skill set contributes to the value our clients get from our services. I have found that there seems to be a threshold in Houston for what people will pay, but, somewhere like New York or L.A., designers typically charge a lot more. Once a client and I have decided to work together, we sign a formal agreement and they submit a retainer for the design fees. The next step is to fill out a very extensive client survey that I developed to have all of the practical household information in one place along with more insight into the client’s taste, their goals for the project, their likes and dislikes, and so on. I developed the client survey pretty early on, but have added to it over time as we have found that certain information would be helpful to have up front. After that, we set up an on-site meeting to take detailed measurements and photographs of every space and any existing furnishings the client wishes to keep. The next step is to begin the design selections. I have heard horror stories about this. I once took a project that seemed ideal, but quickly became the opposite. The client lives in a different state and had apparently interviewed local designers first, one of whom gave her a complete design presentation and itemized proposal prior to getting the job. The client then asked me if we could just use the design for one of the rooms that the other designer had given her. I said absolutely not! First of all, I would never try to pass off someone else’s work as my own and secondly, I never would have selected the pieces that designer had. Needless to say, that client and I parted ways and I wished I could call the other designer whose name I never found out to tell her not to give her work away! In our office, we do not begin any design work until we have a signed agreement and a paid, non-refundable retainer. We also do not order any furnishings for clients until we have a 100% deposit. I have to pay my vendors up front and unfortunately, I am not in a position to act as a bank and finance my clients’ purchases. It is too easy to get burned. I have heard horror stories of designers who have bought tens of thousands of dollars of furniture for clients on their company credit cards, only to have the client disappear or change their mind and then they are left holding the bag. These two things are among the advice I am most thankful to have received from seasoned designers early on in my career. I wouldn’t be able to do it all without my wonderful team. I used to have a really hard time letting go of things and delegating, but as my business has grown, I have learned that it is absolutely necessary, especially given how much I travel for work. We are currently a team of five, but are continuing to grow. Ashton was my first hire and was instrumental in helping me grow my business. Where I am very creative and artistic, she is very business-minded, organized, and driven by numbers and data. She currently handles our bookkeeping and accounting and continues to be an amazing asset to our team. Devon was the second team member we added. 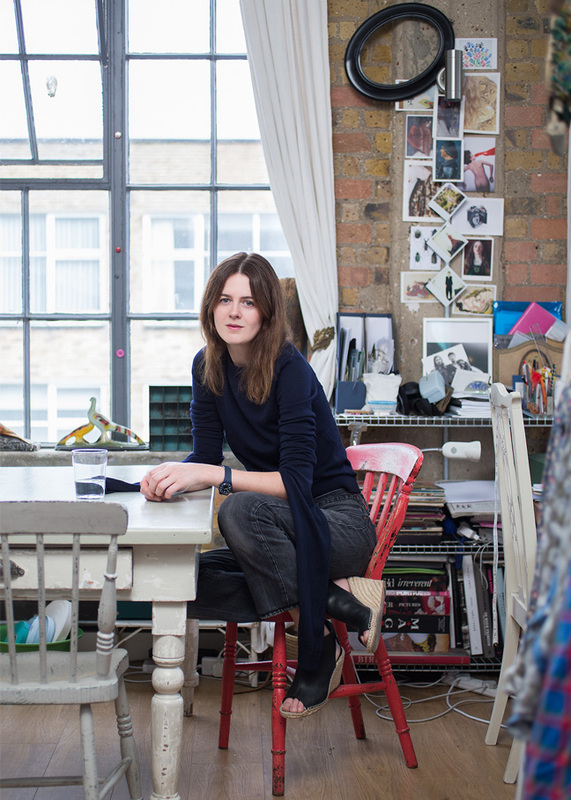 She attended the Inchbald School in London for her design education and has beautiful taste. She is currently on maternity leave and we miss her dearly because she always kept us laughing. Amanda joined the team about a year ago and has quickly become my right-hand girl. She has an incredible work ethic and helps us with everything from project management to Auto-CAD drawings and renderings. Michelle is our newest team member and is currently learning the ropes of project management. 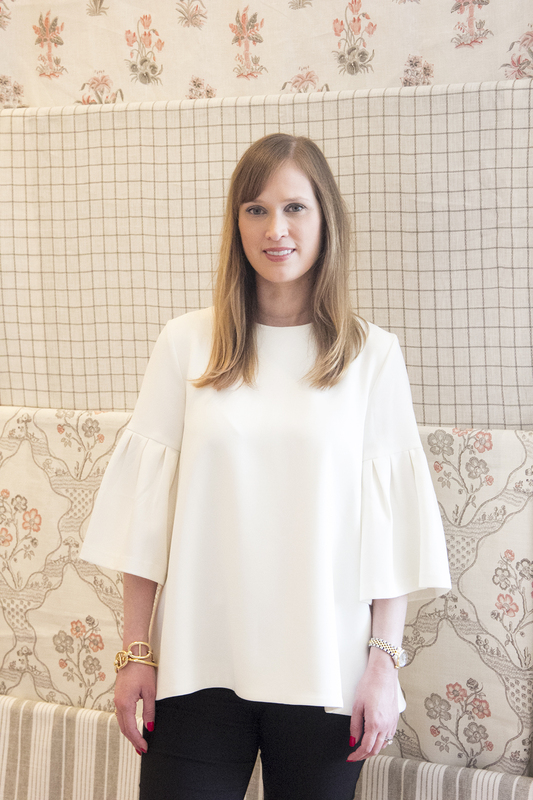 She came to us from the fashion world after working for Ann Mashburn, so she brings a different perspective. We have some really exciting new ventures launching in 2018 that will add new facets to the business, so I have been giving a lot of thought to what that means for our team and how we continue to build it. I don’t know that there is a right or wrong way to go about it. Ultimately, it boils down to a necessary skill set and a good fit within the company culture. I am an incredibly driven businesswoman with lofty goals, so I find it essential for my team to have a similar fire in their bellies so that we can go about making these goals a reality! We just had this discussion in the office the other day. During our weekly team meeting, I mentioned the fact that I am about to embark on six weeks of constant travel. During times like that, I need to know that I can count on my team to take care of our clients and get things done while I am away. If I have ten things on my to-do list on any given day, I start by analysing which of those tasks only I can do. Anything else that can be done by someone else gets delegated. It’s the only way to do it. You have to create a level of autonomy within your team to empower them but to also keep yourself from going crazy. There are certain tasks such as design concepts for clients, anything related to my book or blog, preparing for speaking engagements, and so on that require my attention specifically. My time is best spent focusing on these tasks and that is also what my clients are paying for. I don’t need to be the one calling a vendor to track a shipment or requesting tile samples. I am working really hard to build a brand. All of these various facets of the business or revenue streams are unified under one umbrella. My main focus is my design firm. 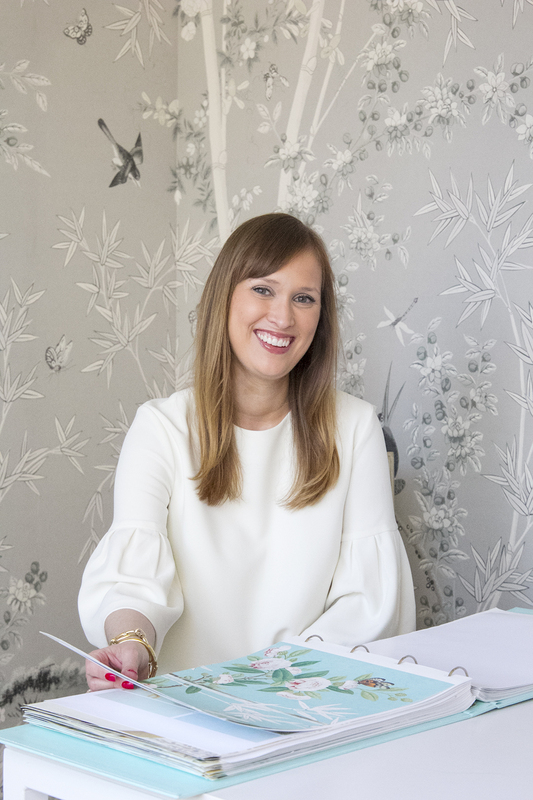 At this point, my blog, which I write Monday-Friday, is an extension of Paloma Contreras Design and is a way for me to market myself and my business on a daily basis. The book will be another facet of the business, as will the other initiatives that we are working on. I love designing for my clients, but as we continue to grow and explore some of the other arms of the business, such as product design, the hope is to be able to take on fewer, better design projects. I am lucky in that my business has always had positive cash flow since its inception. I try to keep my overhead as low as I can. For instance, we have a really great, dedicated office space at my house. Thus far, I have decided that I’d rather invest in building my team than in paying rent, which wouldn’t have a real ROI. The number of projects we have at any given time can certainly ebb and flow, though over the past year, we have been consistently busy and have found that demand continues to increase—thank goodness! We currently have a waiting list about two months out. In terms of cash flow, keeping our overhead low is obviously very important. It is also our company policy that clients pay for goods 100% up front prior to ordering. Otherwise, I would be financing my clients’ purchases for them and would essentially destroy my cash flow since we are required to pay our vendors up front. My social media channels are the most important marketing vehicles for my business. I’ve received some wonderful press in publications including House Beautiful, ELLE DÉCOR, Luxe, Architectural Digest, and Traditional Home. While those features have generated some interest and projects, I get far more inquiries as a result of my blog and Instagram. We have gotten projects in my hometown of Houston as well as in Southampton, NY, various parts of California, Chicago, and even Hong Kong, as a result of my social media. Ultimately, design is all about relationships and trust. When you follow someone on Instagram or read their blog every day, it is so much easier to get more insight into their taste and personality. I find that my social media is a really great qualifier in that potential clients who come to me through those channels already know and like my style and feel like they know me on a personal level which makes starting off on the same page much more likely. We have an 85% client return success rate, which I am very proud of. That means that the majority of our clients have hired us again to do a second home or new project for them after working with us once. Creating a seamless, intuitive process for the client will ensure their satisfaction and will make them happy to recommend you to their friends. I must admit, my clients have been so wonderful about referring me, but I am really bad about asking them to do so. Prepare yourself! It is so much more work than you ever imagined and you can never really turn it off because consistency is so important. If I am traveling, whether it is for business or pleasure, I have to write my blog posts in advance and schedule them to be published while I am away. I always feel the pressure to post on Instagram at least once a day as well. There is no turning it off. The blog world is so much more saturated today than it was when I started my blog over ten years ago, which makes it a lot harder to stand out. Ensure that you have something different to offer and don’t attempt to do the same thing that someone else is already doing. A unique point of view and content that is consistent in terms of quality and cadence is extremely important and will ultimately be what helps you to stand out. As such, be prepared to post at least three times to week in order to build a following and be sure to cross-promote your blog on your other social media channels. If you love to write, chances are that you will enjoy the process. However, if you only want to start a blog because you think it will make you money or you happen to hate writing, don’t do it. Why torture yourself? Instead, choose another social media platform that you enjoy using such as Instagram. You can build a following even more quickly and it will feel more authentic to who you are. Transparency and authenticity are paramount. This was extremely informative and motivating to me as a business owner and designer ! Thank you for featuring her! Excellent article. Very informative and straightforward. It’s good to know the struggles I face in my business are similar, and that there are better ways to move forward in a super competitive, super saturated industry.